An Original Vintage Movie Cut-Out Face Mask (measures 11" x 14") Condition: Near Mint (C9) See our 10 GRADE SYSTEM Page for more information. 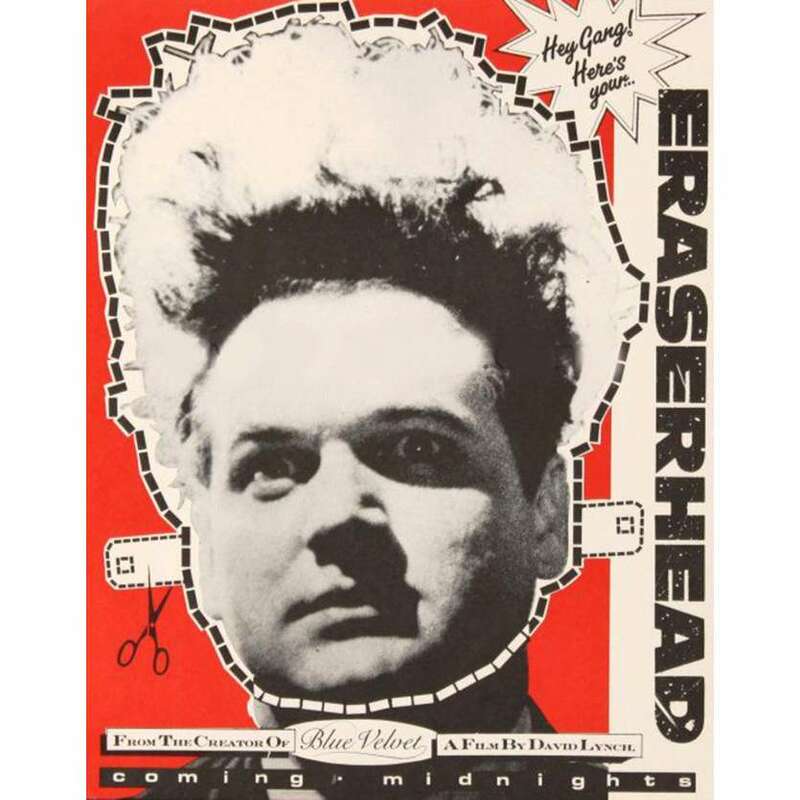 Eraserhead is a 1977 American surrealist film and the first feature film of David Lynch, who wrote, produced and directed. Lynch began working on the film at the AFI Conservatory, which gave him a $10,000 to make the film after he had begun working there following his 1971 move to Los Angeles. The budget was not sufficient to complete the film and, as a result, Lynch worked on Eraserhead intermittently, using money from odd jobs and from friends and family, including childhood friend Jack Fisk, a production designer and the husband of actress Sissy Spacek, until its 1977 release. Important Added Info: Note that this promo mask was given out at midnight showings of this movie, which have occurred in the 1980s. THIS IS NOT A REPRODUCTION, NOR A REPRINT.